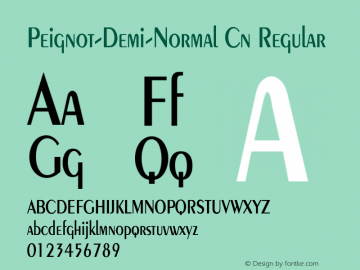 Peignot-Demi-Normal Cn font family series mainly provide Regular and other font styles. 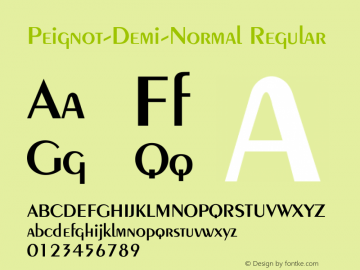 Peignot-Demi-Normal font family series mainly provide Regular and other font styles. Peignot-Demi-Normal Leftified font family series mainly provide Regular and other font styles. 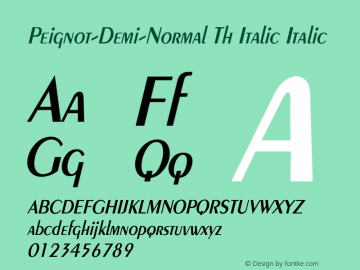 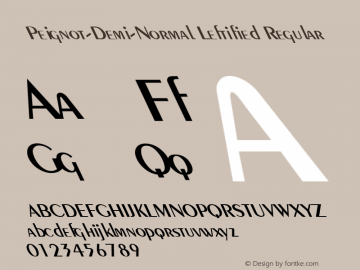 Peignot-Demi-Normal Th Italic font family series mainly provide Italic and other font styles. Peignot-Demi font family series mainly provide Demi and other font styles. Peignot Demi font family series mainly provide Regular and other font styles.